I don’t wear denim jackets that often but with fall approaching I’ve been looking into alternatives for the blazer. It’s definitely a piece I’ll be adding to my wardrobe so I thought I’d share with you some of the inspiration that’s got me wanting to give them a try. First I love how they can be dressed up and pretty much worn in place of a blazer. Sure it’s more casual but it can still look dapper. I also think they look great with wool trousers so they’ll be perfect when the cold weather comes rolling in. For the dressed up look I would stay away from anything too washed and faded. You can add color and pattern with your shirt and tie to really stand out. 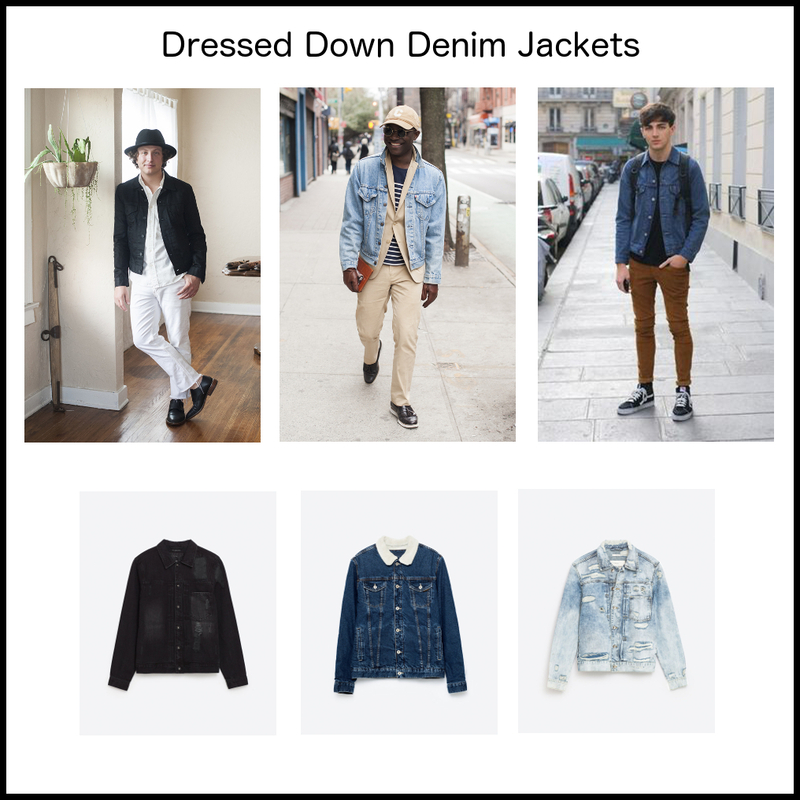 Denim jackets are mostly associated with street wear but there are some other cool ways to dress down your jacket without going full Kanye. I love the idea of layering an oversized denim jacket over a cotton suit. It sure is a great way to get a few more wears out of your cotton blazers before the temperatures start to really drop. The denim on denim look is something that always seems to be trending and can look great if the colors of denim are contrasting enough. 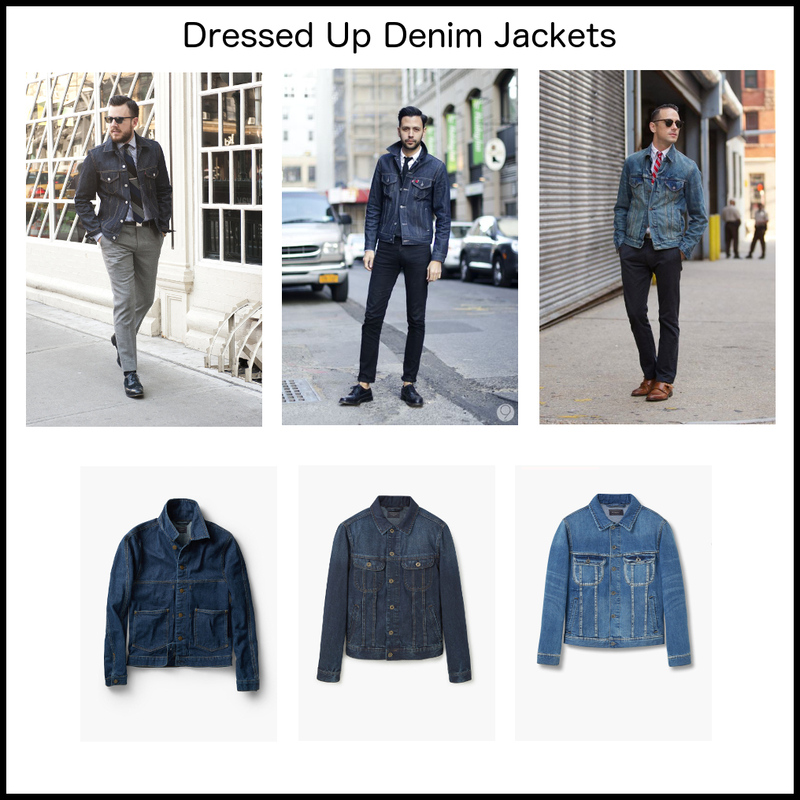 Try mixing a dark blue or black denim jacket with white jeans or go with dark jeans and a light washed jacket. You can have so much fun experimenting with denim jackets so I would consider them a must have this fall.